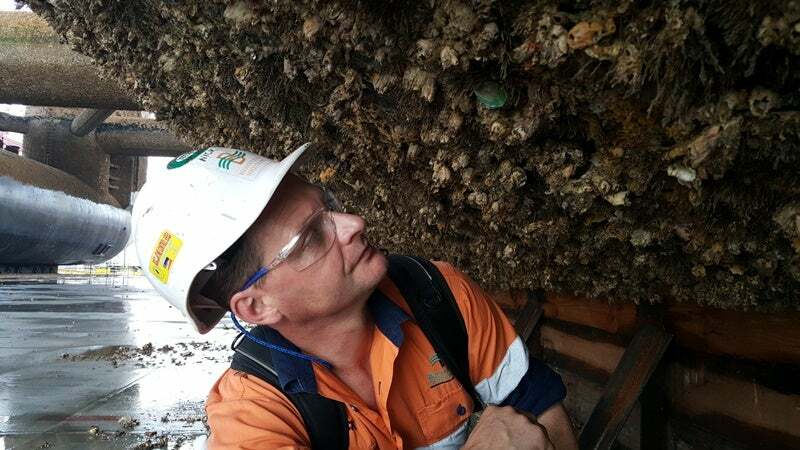 Biofouling Solutions (BFS) is an Australian company specialising in providing marine biosecurity science and advice to the maritime industry, as well as designing and delivering technological solutions to manage biofouling on marine ships and structures. BFS offers a comprehensive biofouling management service from advice in the project design phase to management planning, risk assessment, task specific training, invasive marine species (IMS) inspection and auditing. The company has a competitive track record of developing, testing and implementing a wide range of biofouling treatments and management programmes that can be applied to any maritime vessel, infrastructure or project. Our experienced scientists operate in Australia and overseas to assess and mitigate the threat of IMS incursions via biofouling. Our reputation is built on specialist IMS management, a high standard of quality control and reporting, and a commitment to individual client needs. BFS provides independence and integrity in all aspects of operations. With more than 50 years of experience encompassing marine science and management of biosecurity risks, we have built our reputation on delivering sound science, innovative technological solutions and pragmatic advice to the maritime industry. BFS services cover a broad range of professional, scientific and technical aspects of biofouling and IMS management. The company’s enthusiastic and knowledgeable staff has high-level scientific qualifications in marine biology, a diverse range of practical skills and extensive field experience. Areas of specific strength include practical scientific research aimed at environmental, regulatory and industrial biofouling management applications, including antifouling and in-water cleaning technologies. BFS delivers detailed, expert risk assessments pertaining to the likelihood of vessels or infrastructure facilitating site contamination by introducing IMS to new locations. Our risk assessments have proven to aid clients in making informed, cost-effective decisions, as well as helping them meet environmental targets and complying with government regulations and environmental planning restrictions. BFS’s wide-ranging expertise includes in-depth assessments targeting single vessels, as well as assessments for the mobilisation of large offshore infrastructure projects and associated support vessels. We consider our ability to effectively communicate with customers is one of our greatest strengths. Given the extensive knowledge and experience of our staff, we are able to navigate clients through relevant biofouling regulations and legal requirements. Most importantly, we have gained the respect of regulators as a result of our marine biology research backgrounds and involvement in the development of biofouling management requirements worldwide. BFS has developed systematic protocols based on international and national guidelines for inspecting vessels and infrastructure to ensure compliance with biofouling regulations. The company has practical IMS inspection experience in a wide range of vessels, from small ocean-going yachts to large semi-submersible oil rigs, as well as major, large-scale offshore structures. Our BFS inspectors are some of the most experienced in the world, and have inspected more than 1,600 vessels for IMS-related issues on 58 different vessel types around the world. We have also developed a wide variety of Biofouling Management Plans (BMP) that can be tailored to individual vessels and structures, or adapted to the needs of entire fleets. These BMP follow the recommendations of the International Maritime Organization’s (IMO) Guidelines for the control and management of ships’ biofouling to minimise the transfer of Invasive Marine Species. BMPs can also useful for outlining a scope of works for vessels preparing for dry-docking in order to mobilise for a particular project. BMPs can then be referred to the dry-dock and associated contractors to ensure that all expectations are met in a timely and cost-effective manner. BFS is committed to advancing the tools currently available for managing biofouling and IMS through scientific research and design. BFS has developed a range of technologies such as its line of Smart Kart underwater grooming / cleaning machines, which offer clients a new generation of efficient, safe, diver-operated in-water grooming and cleaning units. BFS has a well-established research and development capacity, specifically dedicated towards assisting the maritime industry cost-effectively mitigate biofouling and the spread of IMS. Our products and services are currently primarily targeted towards the maritime industry such as commercial shipping and petroleum exploration and production sectors.